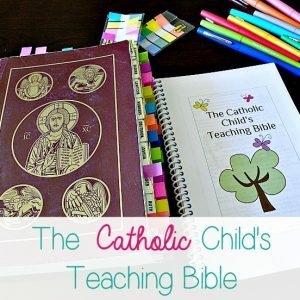 I have some bad news and some good news in this Lent Devotional for Women. The bad news is, we’re still talking about friendship. The good news is, we’re still talking about friendship. 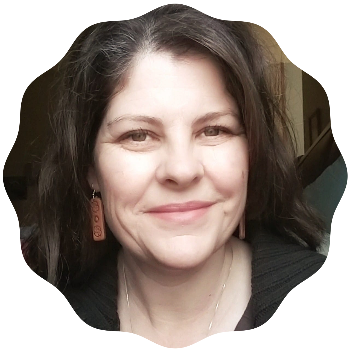 “Down through the centuries, friendship (and still is) a pathway along which many men and women have come close to God and gone to heaven.” In Conversation with Christ. 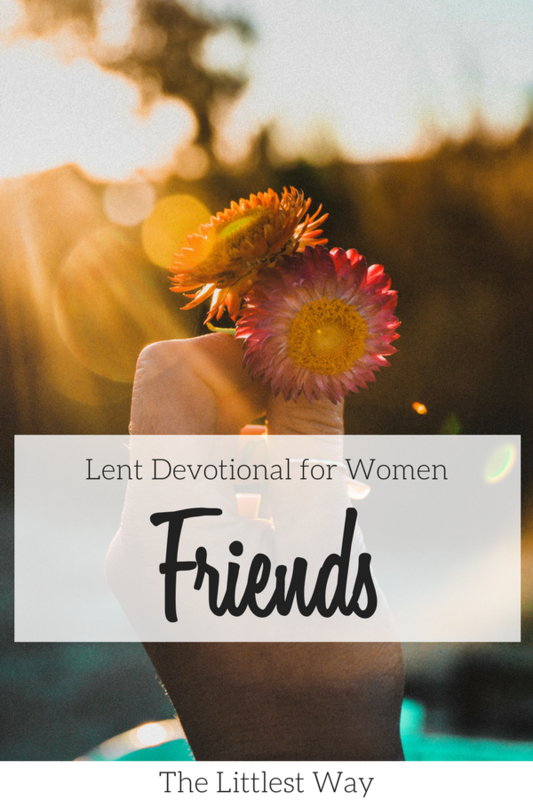 You know I don’t waste any time or words in our Lent Devotional for Women, so let’s ask ourselves some friendship questions. Think about our friends. The ones we talk to or text regularly. The ones we grab a bite to eat with and especially the ones we share our hearts with. Are our friendships bringing us closer to God and heaven? Listen, if the first thoughts in our minds or the first words out of our mouth are an explanation or defense of the friend or friendship…um, we need to get real still and real quiet and real honest with ourselves. If our friendships aren’t bringing us closer to God, where are they taking us? 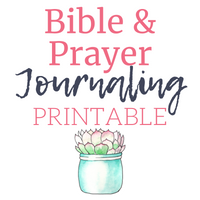 Let’s ask that question, “Where is this friendship taking me?” This might be a great journaling exercise. But not the pretty journaling. I think this kind of question needs to be answered in a massive, quick-fire, brain dump–anything that comes to mind–sort it out later, type of journaling. If we sit down and journal through these question in a pretty way, we’ll restrict ourselves, we’ll hold back for fear of getting messy. Messy on the paper and messy in our minds. Restricting our thoughts and feelings will be just the justification we need to keep doing what we’re doing. Let’s ask ourselves the question again, are these the type of friends who will hold my arms up when I get tired? We won’t spend much time here since we’ve already considered this some, but this question needs to be visited more than once. Another friend consideration; remember the story of the paralytic man in the Gospel? 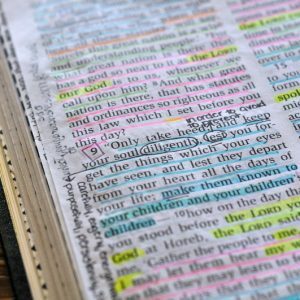 Read Mark 2:1-12. And to sum it up, a paralyzed man wanted to be healed by Jesus but not only could he not get himself to Jesus because of his paralysis, but the crowd was also too great for him to get near enough to Jesus. This paralytic man of the Gospels had some friends. His friends tried to carry him to Jesus and seeing the crowd was so large, “…they dug a hole through the roof above his [Jesus] head. Then they lowered the man on his mat, right down in front of Jesus.” The Scriptures state, “Seeing their faith, Jesus said to the paralyzed man, “My child, your sins are forgiven.”” Jesus didn’t just see or look at the faith of the paralyzed man, it says He saw their faith. There are a couple of question embedded in the above reflection. Think about and look around at our friends, will they carry me to Jesus if I can’t make it to Him on my own? And the next question is when Jesus looks at our friends, will He see their faith? If the above answer is no, we need to examine ourselves as a friend. Most of these friendship reflections have been considering how our friendships affect our faith and following after Jesus. But we also need to stop and ask ourselves, how is my friendship affecting others?